Convenience and safety are key considerations that should inform one’s choice of an ideal garage door opener. Secure your home and property with a sophisticated and autonomous equipment that opens and closes your garage effortlessly. The following are some of the top brands of garage door openers you may want to consider. There are several elements that define a quality garage door opener. Absolute autonomy, efficiency, and reliability are but a few of the considerations. In this review, we have provided a sampled list of some of the best garage door openers. We have also included a detailed breakdown of features and related pros for each. Check them out and compare their specs in order to find what suits you best. The Senclo Fi garage door opener has great specs. It has infrared motion sensors for easy detection of approach whenever you are within range. This standalone unit supports voice control with Alexa and Google Assistant. It also provides instant alerts whenever the door is remotely opened or closed. You also get alerts whenever the garage door is open for longer than usual duration. The Senclo Fi has an android and iOS application for easy remote control from anywhere. You also get good control via an Apple Watch with just a simple flick of your finger. The Senclo Fi mini garage door opener auto opens the door whenever you approach. It also automatically closes the door behind you. You get full control of access to your home’s garage door from your Android smartphone or iPhone. What’s more, this door opener is compatible with your Apple watch, Alexa and Google Assistant. 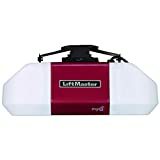 It works well with most of the leading garage brands like Liftmaster, Chamberlain, etc. This universal support feature makes it very easy to upgrade your current door opener to this smart option. 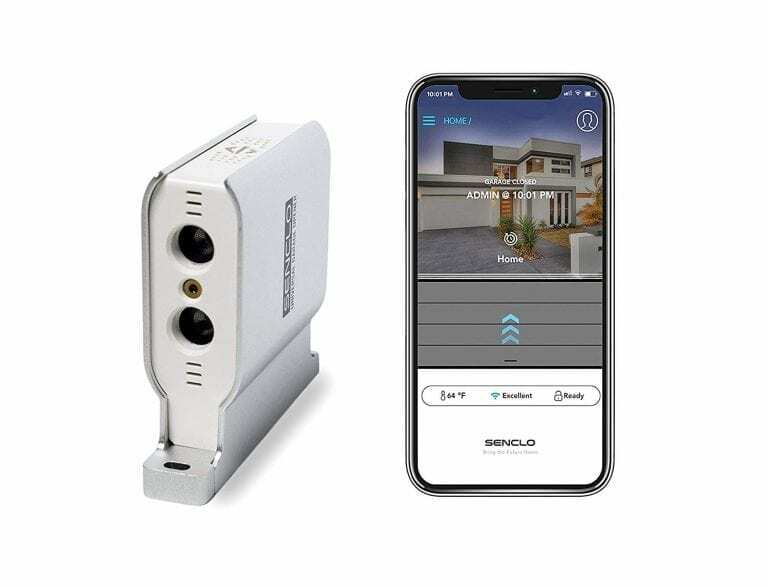 Supports radio control, though this works best with Wi-Fi connectivity with 2.4GHz signal strength. It provides real-time alerts whenever the door flings open or during forced entry. It has an inbuilt timer. This feature lets you set the time duration before the door swings shut. You also get notified whenever the limit is exceeded, like is the case during security breaches. The Mighty Mule MM9333H 9000 garage door opener operates very quietly, thanks to its HPe DC motor that comes with a steel-reinforced belt drive system. It has integrated wireless keypads and transmitters for easy remote control. 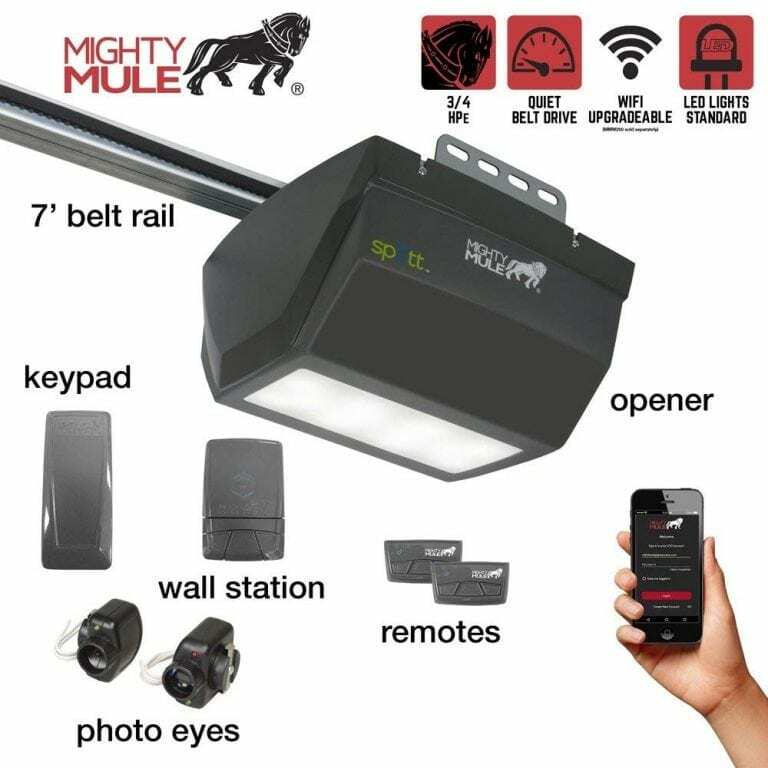 For enhanced remote control, the Mighty Mule has a special iOS and Android app which you can use to lock doors or grant access to your home wherever you are. This garage door opener comes with a user manual with all the setup instructions for easy installation. Has 3/4 HPe DC motor that operates quietly for a smooth and efficient opening and closure of your garage. It has wireless transmitters (MMT103) that work well for both the Mighty Mule door opener and the Mighty Mule gate opener. All parts, components, and accessories have a warranty. 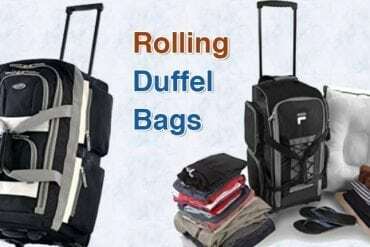 In case of any hitches and malfunctions, get fixes and replacements done by the manufacturer for free. For enhanced remote control, the Mighty Mule garage door opener supports an iOS and Android application. This app provides excellent control of your home’s garage door from wherever. It has preinstalled LED lights, you won’t have to keep changing bulbs time after time. Its 3/4 HPe DC motor supports frictionless belt drives for easy closing and opening of your garage door. The Liftmaster garage door opener comes with a multifunction control panel for easy customization of settings. 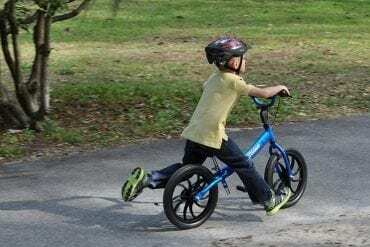 It is powered by a 1/2 HP premium heavy-duty motor and a chain drive system. It is more efficient and breach-proof compared to your ordinary garage door opener. For enhanced control and security, you have the option to program security codes from its multifunctional smart control panel. It is very simple and easy to install; it has Powerhead Quick-ConnectTM terminals for swift installation of wires. For easy replacement of light bulbs, the LiftMaster chain drive opener has non-yellowing hinged light lenses. The LiftMaster garage door opener has an integrated multi-functional control panel. This supports ease of control and setting of parameters for efficient opening and closing of your garage door. It comes with a user manual for an easy installation process. The Powerhead Quick-ConnectTM terminals make installation of wires pretty simple. 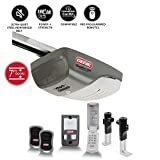 Its 1/2 HP premium heavy duty chain drive motor supports easy auto-opening and closing of your garage door. It has non-yellowing hinged light lenses. The hinges support easy changing of light bulbs. It comes with a preinstalled rail system that requires absolutely no assembly. 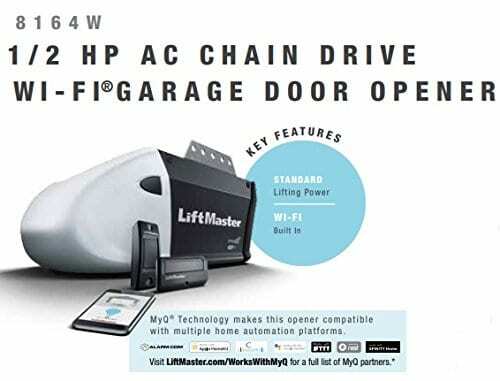 The Liftmaster 8587 elite series garage door opener comes with a powerful 3/4HP motor and a chain drive system. It has integrated LED lights that automatically switch on whenever you approach the garage door. It comes with a chain drive system, with no rail chain included, for smooth and easy control of the garage door. Liftmaster door opener has a multifunctional control panel for easy remote control. It comes with an android and iOS app for enhanced remote control. It has a user manual for easy and quick installation instructions. All parts and components of the Liftmaster 8587 Elite Series have a warranty coverage. Comes with an iOS and Android app for absolute remote control from anywhere. 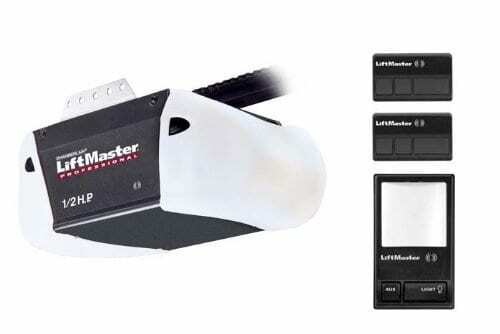 Liftmaster 8587 elite series garage door opener has a powerful ¾ HP AC motor chain drive system for smooth and efficient operations. Comes with an android and iOS app for absolute remote control wherever you are. It has a radio transmitter remote control option, though this works best at close proximity to your garage door. 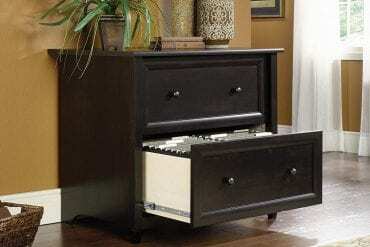 Compactly designed and weighs only 20 pounds making it perfectly suited for home garage settings. Comes with a user manual for an easy and fast installation process. All parts and components of the Liftmaster 8587 series garage door opener have a warranty. You get free fixes and replacements for any component that malfunctions. It comes with one remote and a mountable door control keypad. These are what you’ll use to control and manipulate settings and other parameters. The 8500 Liftmaster door opener comes with a pair of 893Max 3-button remotes for easy setting and manipulation of parameters. The remotes work best with the integrated MyQ control panel. 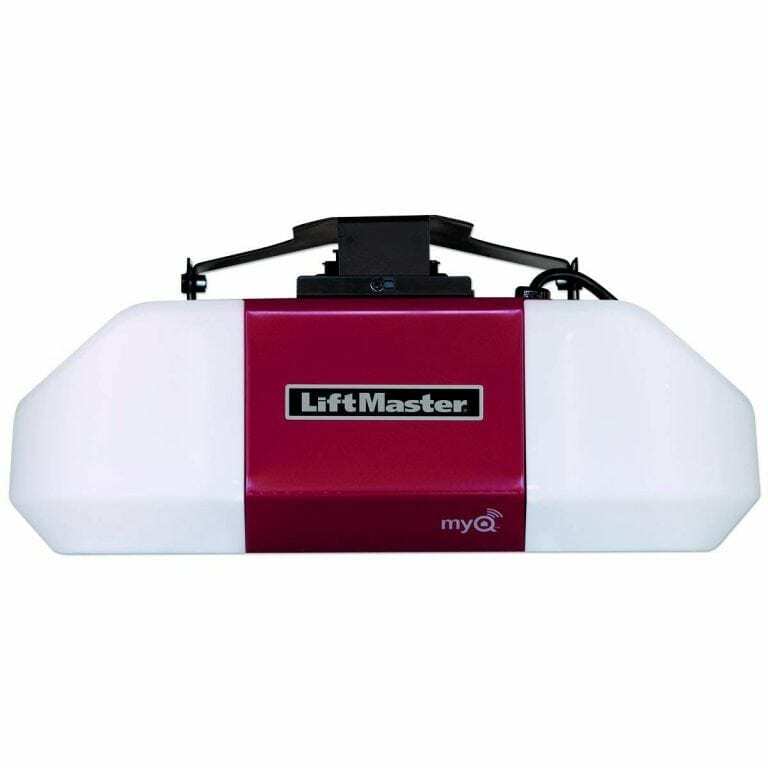 8500 Liftmaster elite garage door opener has a 41A6102 protector system and a single power door lock system for enhanced safety. It also features 200Watt lights with light-time delay option. An integrated infrared sensing technology keeps the garage door open whenever there’s obstruction. This helps minimize injury and likely damage whenever an object or person is within the doo’s closing radius. It has a Security + 2.0 rolling code feature which sends you real-time alerts whenever the remote lock feature is used. In case of power interruptions, the Liftmaster elite series garage door opener’s manual release handle comes in handy. It has a MyQ control panel for easy control and electronic programming of security codes. The 8500 Liftmaster elite series garage door opener has an integrated Hitech control panel. This supports electronic code programming for enhanced security. It has a manual release handle which comes in handy during power interruptions. The infrared sensor technology detects motion of objects within range. This helps in identifying approaching users and open or close the door as appropriate. It supports a security + 2.0 rolling code. This feature sends you real-time notifications whenever the garage door is locked or opened remotely. The 41A6102 protector system is infrared-based for high motion sensitivity. This helps limit door closure related injuries. All the components of the Liftmaster elite series garage door opener have a warranty. If any accessory malfunctions, be sure to get a replacement and fixes done for free by the manufacturer. 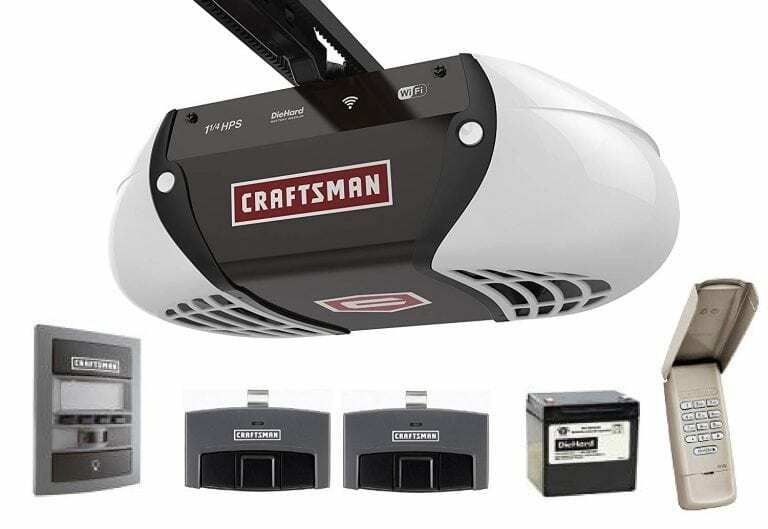 The Craftsman 1-1/4 HP smart garage door opener has very classic specs and feature. In my expert opinion, it is one of the best brands. This smart door opener is literally silent during operations. The setup and installation process is also relatively direct and simple, thanks to the video tutorials and user manual. Installation of units in its Wi-Fi app is quite intuitive and easy. The Wi-Fi app is for short-range remote control; used at close proximity to the garage door. Something else I love about this door opener is the protector system. This one uses the infrared sensor technology to keep the door open whenever there’s obstruction in its closing radius. This ensures the safety of your kids, pets and other users. It also has an integrated security rolling code that provides instant alerts, with information about a new security code, whenever the remote lock feature is used. Comes with a user manual for easy installation and set-up. The Craftsman 1-1/4 HP smart garage door opener has an integrated infrared sensor technology. This makes it responsive to approaching objects within its range. It supports remote control via an iOS and Android app. This makes it easy to open your garage door from wherever you are. You also get updates and alerts via these applications. The installation process is simple and direct. It comes with a user manual with all the setup instructions. It is compatible with Google Assistant and Alexa voice control systems. This feature allows you to close and open your garage door remotely with a simple voice command. The Craftsman protective system uses infrared sensor technology to protect your kids, pets and unsuspecting visitors from door closure accidents. The security rolling code feature sends real-time alerts whenever you lock the garage door remotely. The Liftmaster 8164W garage door opener comes with an in-built Wi-Fi functionality for easy remote control. It comes with MyQ iOS and Android mobile apps for enhanced remote control from anywhere. The MyQ app also provides real-time updates on the lock-and-open status of your garage door. It also has a security + 2.0 rolling code feature which sends you a new lock code whenever the door is locked remotely. It has an inbuilt protector system that uses infrared beams to auto-reverse the door in the event of an obstruction. This ensures the safety of your kids and pets. The Liftmaster 8164W garage door opener has a Posi-lock. This feature protects against forced access. Its Auto-force Adjustment feature supports quick reset according to prevailing weather conditions. Durable 1/2 HP motor chain drive system for top performance and steady lifting power. All Liftmaster 8164W garage door opener components and accessories have a warranty coverage. All its components and accessories have a warranty. The Motor chain drive system has a 4-year warranty while the other accessories have a 1-year warranty coverage. It comes with an integrated security + 2.0 alerts feature. This feature sends notifications whenever the MyQ mobile app is used to lock and open your garage door. It is powered by an ultra-quiet chain drive AC motor system that is up to 75% energy efficient in standby mode. Has a Wi-Fi app for proximity remote control. This application only works whenever your door is within range. The Auto Force adjustment feature responds automatically to weather events. If your garage is attached to your home, you really need a good door opener to control access to your property. The Genie SilentMax provides more than just security. 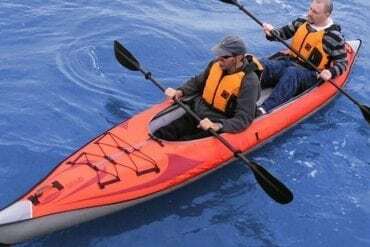 It comes with a 140V DC motor that is super lightweight and performs with minimal noise. Its Smart-Set programming and a user manual makes installation and set-up process fast and easy. 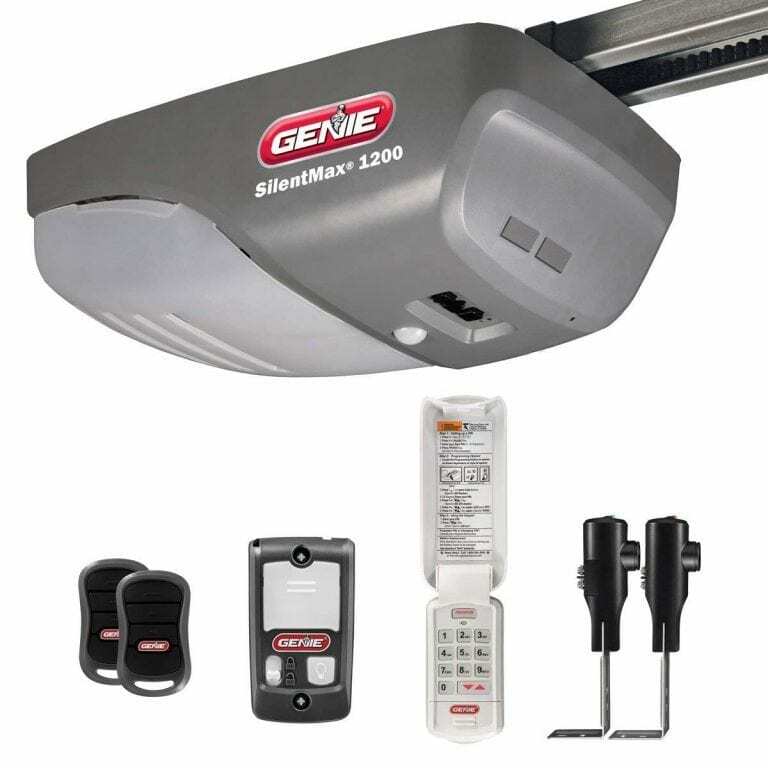 With opening speeds of up to 9 inches per second, the Genie SilentMax garage door opener is perfectly suited for fast entry and exit. For safety and protection against door closure accidents, the Genie SilentMax has a Safe-T-Beam system that uses infrared sensor technology. In the event of a malfunction, there’s the infrared diagnostic feature that will give real-time notifications on the overall health of the system. It accommodates up to two 100W bulbs arranged in the innovative powerhead design. This arrangement concentrates lighting towards the back of the garage where you need it most. The Genie SilentMax has motion detectors that automatically powers on the overhead light whenever you approach the garage. Intellicode security technology protects against unauthorized access. The Safe-T-Beam system uses infrared technology to keep the garage door open whenever there’s obstruction. All components and accessories have a warranty. Accessories and components that malfunction within the warranty period are repaired or replaced free of charge. Infrared diagnostic functionality provides timely updates on components’ functionality and health status. The SilentMax has a 140V DC motor that operates silently thus guaranteeing your family a quiet and homely environment. 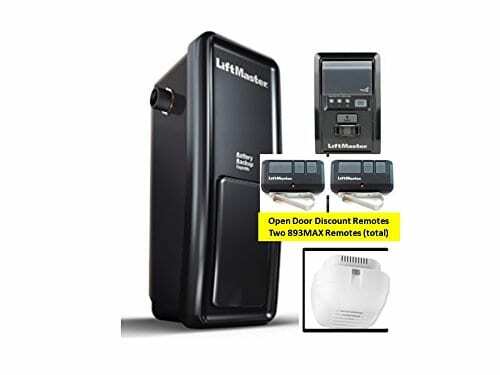 This is a steel-reinforced, quiet and durable garage door opener. Chamberlain B510 guarantees years of reliability and quality performance, thanks to its precision-engineered design. Its Chamberlain Lift power system provides excellent garage door lifting. It supports a pair of 100W non-halogen bulbs or CFL bulbs. The installation process is easy, thanks to the many online installation videos and user manual. Comes with an exclusive triband technology for remote range expansion. This makes it easy to use the Wi-Fi app from a relatively distant point. Has a security + 2.0 100 billion code encryption system. This protects against hacking. Chamberlain B510 garage door opener has a Posilock to protect your property against forced entry. It comes with a 23-button remote control for easy auto opening and closing of your garage door. The chamberlain lift power system provides excellent lifting ability. The Posilock system protects against unauthorized access. This is basically an anti-theft feature. Supports security + 2.0 100 billion code encryption. This guarantees the safety of your remote lock security code whenever they are sent over a network. Has an exclusive triband technology that supports Wi-Fi range expandability. This makes control of your garage door from a distance fairly easy. Has a 23-button remote for easy control and adjustment of parameters. Manage access to your home and property with the steel-reinforced belt drive, strong and quiet Chamberlain B550. Its high lifting capability is attributed to the Chamberlain’s Lift Power System, an in-built lift system. It comes with integrated MyQ and Chamberlain Wi-Fi apps for excellent remote control. These apps provide real-time alerts on the status of your garage door. 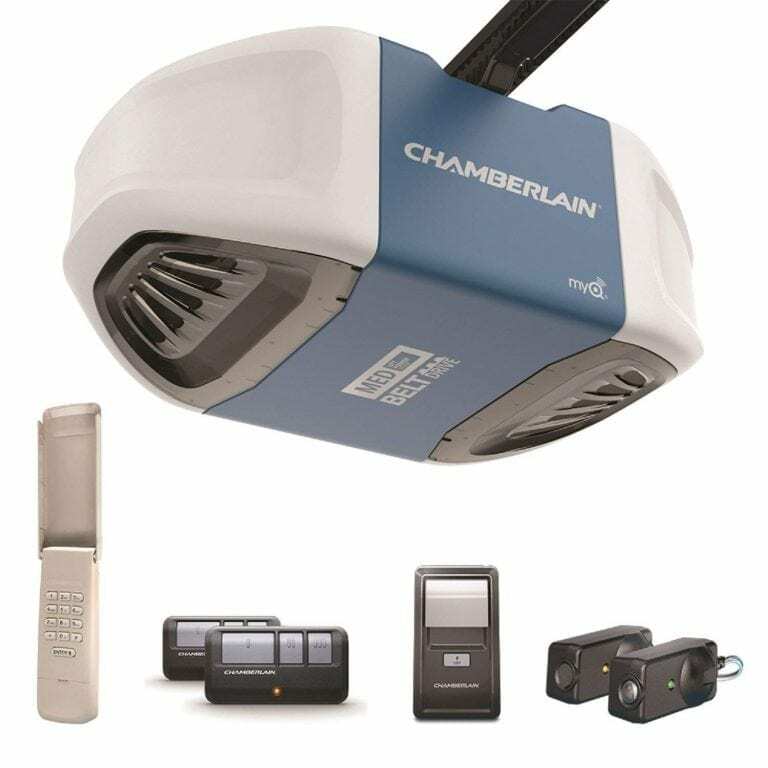 The chamberlain B550 garage door opener works with your local ISP and Wi-Fi router firewall for high-level security. It also supports a superior encryption system for the very best of security and real-time monitoring. For enhanced remote control, the Chamberlain B550 garage door opener has a wireless keypad, a dual-function wall control panel, and an incorporated Triband Technology Wi-Fi range expander. Top level encryption and monitoring security features. It works with your local ISP and Wi-Fi router firewall security settings to regulate and control access to your garage. Supports two 26-watt CFL light bulbs or two 100watt non-halogen light bulbs. 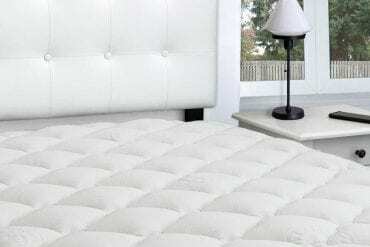 It comes with a steel-reinforced belt drive system for an ultra-quiet and smooth performance. The Chamberlain’s MED Lift Power system delivers high lift force for a smooth opening and closing of your garage door. This door opener has a wireless keypad and an integrated Chamberlain Wi-Fi app for excellent short range remote control. It also has a Chamberlain iOS and android MyQ app for long range remote control. Comes with online installation tutorial videos. 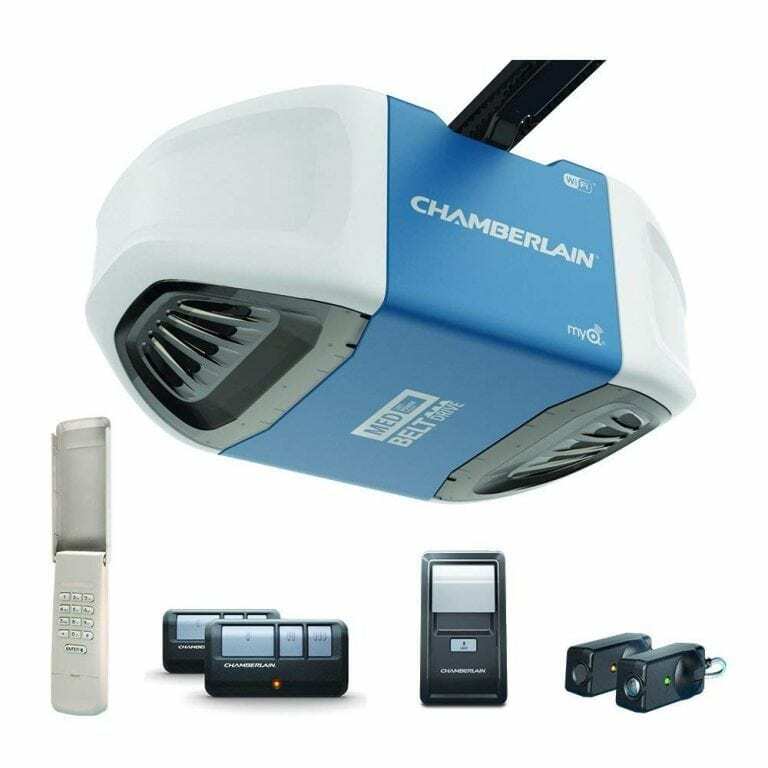 Together with its tech support team, snap-lock rail system, and pre-programmed remotes, setting-up the Chamberlain B550 garage door opener is very simple and easy. All the parts and components of the Chamberlain B550 have a warranty. The Motor and belt drive systems have a 10-year & 15-year warranty respectively. The other parts and accessories all have a 1-year warranty. It has a 23-button remote capable of controlling up to 3 garage door openers concurrently. Together with the inbuilt Exclusive Triband technology capable of up to 1500ft range expansion, you get a superior remote control for even faster door opening and closure. A quality garage door opener is a security and safety guarantee for your home and property. This review has summarized some of the leading market brands, their specs, and associated pros. Compare and contrast their features so as to get the perfect fit for your home’s garage door.